This is one of those rare stories that may actually save your life. A new study finds that patients with pancreatic cancer survive longer when they go to a major cancer center for treatment. Not many patients do that, however. "We wanted to know: if you live in a rural area, does it benefit you to travel to a high-volume academic medical center for your cancer operation?" said Dr. Raymon H. Grogan, M.D., assistant professor of surgery at the University of Chicago Medicine. The answer is a pretty clear "yes," Grogan and associates say in an article published on the American College of Surgeons website. "There is a well-established relationship between a surgeon's high volume of operations and patients' improved outcomes for pancreatic and thyroid cancer, and most high-volume surgeons in the United States practice in metropolitan settings and academic referral medical centers." To understand the effect of travel on the overall survival rate and quality of care, Dr. Grogan and co-investigators focused on two types of cancer with different chances for cure. One, papillary thyroid cancer, is the most frequent type of thyroid cancer and is usually slow growing and its treatments are associated with a low complication rate. 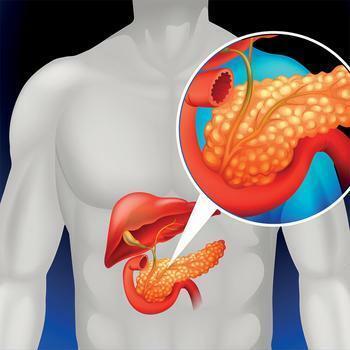 The other, the most common form of cancer of the pancreas, pancreatic ductal adenocarcinoma, tends to be aggressive with a much worse survival rate. Using patient records entered into the National Cancer Database (NCDB), the authors analyzed data for 105,677 patients with papillary thyroid cancer and 22,983 patients with pancreatic ductal adenocarcinoma. They studied how far those patients traveled for treatment and correlated the results with the outcome of that treatment. Among patients with pancreatic cancer, those living in rural and urban areas who traveled to an academic medical center for their care had longer overall survival compared with patients who underwent cancer operations near their home communities, the researchers reported. Overall survival is a measure of the length of time from a person's cancer diagnosis to the time of his or her death, regardless of the cause of death. Patients with this aggressive pancreatic cancer lived two months longer on average if they traveled for care, Dr. Grogan reported. As expected, the researchers found no survival differences by travel in patients with thyroid cancer, which Dr. Grogan said has an average five-year survival rate of 97 percent. Importantly, however, patients who traveled were more likely to receive care that followed cancer treatment guidelines from the American Thyroid Association and the National Comprehensive Cancer Network, an indicator of quality of care, he stated. "Our data do not necessarily show that patients who don't travel for cancer care receive suboptimal care," Dr. Grogan stressed. "Rather, patients who travel more often receive the gold standard care -- care that more often conforms with evidence-based recommendations." Despite the advantages of traveling to a major medical center, only 9 percent of patients with thyroid cancer and approximately 25 percent of pancreatic cancer patients traveled for their surgical care, the data showed. "Although we found that travel is associated with better outcomes, the vast majority of these cancer patients are not traveling for their care," Grogan said. Noting that lengthy travel to a cancer treatment center may have disadvantages as well as the observed advantages, Dr. Grogan said their study gives patients with cancer more information to decide what is important to them. Whether patients travel for surgical cancer care or not, he recommended that they ask their surgeon two important questions: "How many of these operations do you perform each year?" and "What is your complication rate when performing this operation?"